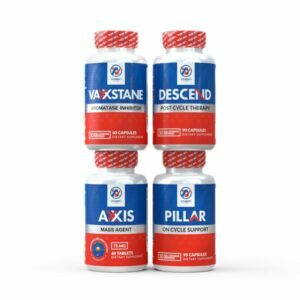 A Complete Guide to Exogenous Ketones: How They Work, Benefits, & How to Use Them - Vaxxen Labs, Inc.
Exogenous ketones are arguably the most revolutionary sports supplement since the dawn of creatine, making their way into the market circa 2012 and taking off ever since. 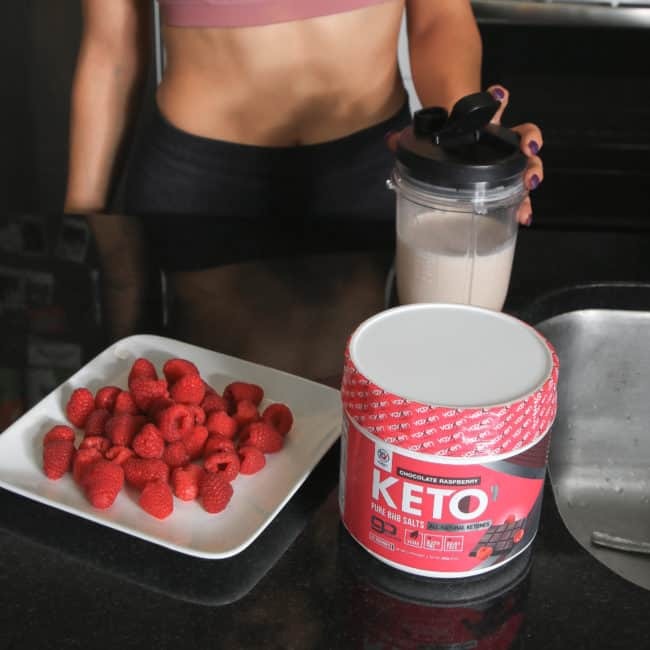 Now, it seems like every supplement company is trying to get a piece of the “keto pie,” so to speak, by coming out with their own exogenous ketone supplement. 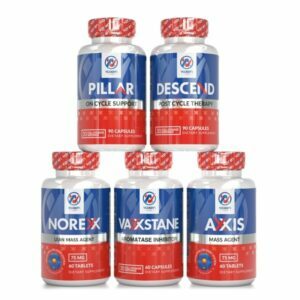 Vaxxen Labs has spent countless hours testing different exogenous ketone formulas and perusing peer-reviewed research to gain a deep understanding of the potential for supplemental ketones. Since many fitness aficionados and gym-goers alike don’t seem to grasp what exactly exogenous ketones are, how they work, or how to use them for maximal benefit, this guide will walk you from A to Z on all things related to exogenous ketones. What Makes BHB, Acetate, and Acetoacetate so Special? Ketone Salts Vs. Ketone Esters: Which is Best? “Exogenous” is a term often used in clinical applications to describe a substance (e.g. nutrient, drug, ingredient, etc.) that originates outside of the body. It’s generally only necessary to use “exogenous” when you’re distinguishing a substance from its identical counterpart that is naturally made within the human body (i.e. endogenously). Per example, a healthy pancreas naturally produces insulin – a peptide hormone that regulates blood glucose levels (among many other things). The insulin your body makes is more appropriately referred to as “endogenous” insulin. If you’re a type-1 diabetic, chances are your doctor prescribes you “exogenous” insulin for injection (since your pancreas doesn’t produce it). It’s still the same compound/hormone, but it originates from outside the body instead of within it. So, how does this apply to ketone bodies? The body produces ketone bodies naturally as a part of fat metabolism (most of which takes place in the liver). Hence, ketone bodies made this way are technically endogenous ketones. As you’ve likely deduced by this point, exogenous ketones are simply ketone bodies that you supplement with – like the goBHB™ salts in Keto1. Now, about those ketones; what are they exactly? In short, ketones are organic (carbon-based) molecules with a formulaic structure that hinders them from reacting with other molecules. It’s imperative to note that many ketones exist in nature (and even more can be synthesized in a lab). In fact, ketones are often used in fragrances and perfumes due to their strong aromas. This is one reason why those on the keto diet notice that their breath might take on a unique smell once ketosis sets in. While there are many known ketones, the human body makes three specific “ketone bodies” as part of fat metabolism: beta-hydroxybutyrate (BHB), acetate, and acetoacetate. These three ketones are ultimately responsible for ketosis. In terms of its chemical structure, BHB is technically not a ketone, but it functions similarly to acetate and acetoacetate in the body (we will touch more on BHB in the next section). Why are BHB, acetate, and acetoacetate so special, you ask? In short, these ketones serve as an energy source for many tissues throughout your body in lieu of sugar (glucose). While that may not seem like such a huge deal, this is quite a paradigm shift from what we’ve been raised to believe about the energetic demands of the human body. Contrast that with fat, ketones, and amino acids, which are essential to our survival. In fact, your body produces ketones naturally from fat reserves during prolonged fasting periods and especially if you’re in starvation; it’s a natural mechanism to keep you alive! 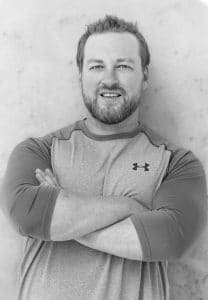 This is why you must consume fat and protein (amino acids) regularly but not necessarily carbohydrates – which is the very premise behind the ketogenic diet. However, with the advent of exogenous ketone supplements, you can now get the benefits of ketones without following the ketogenic diet; even better, if you’re on the ketogenic diet then exogenous ketones can bolster ketosis and provide many other benefits. As previously mentioned, BHB functions like acetate and acetoacetate in humans despite not having a characteristic ketone structure. These three ketones may be converted to a molecule known as acetyl-CoA which can then enter the citric acid cycle and produce ATP (cellular energy). However, due to its chemical structure and metabolic fate, BHB is superior to acetate and acetoacetate for producing energy and enhancing performance. Hence, Keto1 contains patented goBHB™ salts, which are the purest exogenous ketones on the market (made by the industry leaders over at Compound Solutions). Some things to keep in mind when you come across an exogenous ketone supplement that contains generic BHB salts or acetate/acetoacetate instead of BHB, is that it’s going to A) be ineffective and B) taste like utter crap. If the label doesn’t explicitly state that the BHB salts are goBHB™, then your best bet is to steer clear. With that in mind, let’s take a look at what research has to say about the benefits of exogenous ketones (particularly BHB salts) and why you should use them. The benefits of using BHB salts (exogenous ketones) are immense, ranging from improved appetite control, increased energy, enhanced cognitive performance, neuroprotection, reduced inflammation, and support for fat loss. 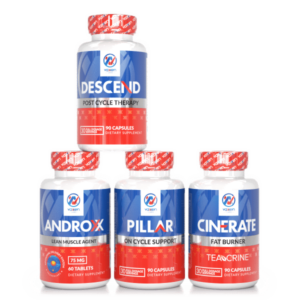 At their most basic, exogenous ketones are a source of sugar-free energy that mimics the physiological effects of ketosis that you experience on a very-low-carb diet or during extensive fasting. The neat thing is that supplementing with exogenous ketones will help you enter ketosis within 20-30 minutes of ingestion, even if you’re on a higher-carb diet. Normally, you’ll have to follow the keto diet for a solid 10-14 days before your body produces a significant amount of ketones. 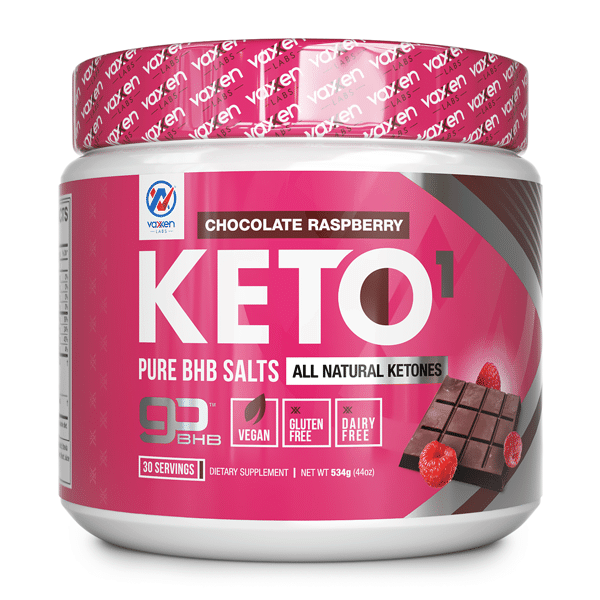 Exogenous ketones effectively expedite the process of getting into ketosis by delivering BHB salts to the bloodstream. Even better, if you’re on a very-low-carb diet, like the keto diet, then exogenous ketones can lessen the time it takes for your body to adapt to fat as its primary fuel source. Not only that, but daily use of Keto1 will keep your body in a constant state of moderate ketosis, helping maximize the benefits you experience without the negative side effects from being close to ketoacidosis. Surely, this may all sound too good to be true. The reality is that there’s a rapidly growing body of research to back the claims regarding the benefits of exogenous ketones. On that note, let’s take a look at the scientific and clinical evidence supporting BHB salt supplementation. Murine data shows that exogenous ketones can help reduce weight (especially fat) gain by significantly decreasing food intake. This appears to be the results of BHB increasing levels of a satiety-promoting peptide known as cholecystokinin, which signals to your brain that you are full. A recent 8-week study including 24 healthy adult males found that the increase in blood BHB levels while on the ketogenic diet resulted in a loss of body fat (especially visceral adipose tissue) even while the subjects were in caloric surplus. Subjects who ate a higher-carb diet with the same energy intake experienced no significant reductions in body fat. The researchers suspect this was the result of increased fat oxidation in the subjects who had higher blood levels of BHB, while those on the higher-carb diet oxidized mostly glucose. Recent murine research has shown that exogenous ketones enhance oxygen utilization throughout the central nervous system (CNS). Molecular oxygen (O2) is an essential compound for health and longevity, but when it builds up in the CNS it has toxic effects throughout the brain and hastens neurodegenerative processes. Thus, supplementing with exogenous ketones can effectively reduce the buildup of molecular oxygen in the CNS and protect the brain from neurotoxicity. For centuries it has been suggested that the brain thrives on glucose as a substrate for neuronal growth, but high glucose levels actually impair and damage neurons (especially in people with insulin resistance). On the contrary, data shows that exogenous ketones encourage the synthesis of phospholipids in the brain, which are utilized for neuronal growth and myelination. As such, BHB can enhance cognitive function and the efficiency at which nerve impulses are conducted. Recent evidence shows that exogenous ketones can significantly reduce cognitive decline and attenuate neurodegenerative processes. In this sense, BHB salts are a neuroprotective nootropic. This is a promising finding given how prevalent conditions like Alzheimer’s and Parkinson’s diseases have become. 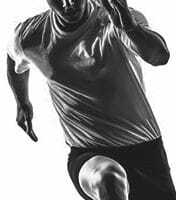 Arguably the most overlooked aspect of exogenous ketones is their potential for enhancing athletic performance. While research regarding this topic remains somewhat limited, a recent study published in Frontiers in Physiology found that intraworkout exogenous ketone supplementation increased post-workout mTORC1 activation. In non-nerd lingo, this suggests that exogenous ketones enhance muscle protein synthesis after training. Moreover, supplementing with BHB salts is the only practical way to induce acute ketosis before training, which puts the body in a state where fatty acid oxidation is prioritized, which is especially beneficial for training stamina and weight loss. And for gym-goers and athletes who eat a higher-carb diet, exogenous ketones will take priority over muscle glycogen as an energy source, thereby supporting sustained performance and reducing/inhibiting muscle tissue catabolism during long bouts of cardio. Recent research suggests that the keto diet is an effective measure for blunting malignant brain tumor growth. The researchers surmise this was the result of cancer cells not being able to utilize ketone bodies for their growth and replication. Astonishingly, one study found that giving exogenous ketones to mice with systemic cancer increased their survival time by as much as 70% in comparison to the mice that didn’t receive exogenous ketones. Exogenous ketones have anti-inflammatory actions in many bodily tissues by blocking a class of proteins known as inflammasomes. Research is ongoing to identify other inflammatory-mediating molecular targets of BHB salts. BHB salts appear to enhance insulin sensitivity and reduce blood glucose. Exogenous ketones may therefore present a potential therapeutic option for individuals with metabolic complications, such as type-2 diabetes. MCTs are a special subclass of triglycerides (fats) that contain between 8 and 12 carbons in their fatty acid chains. 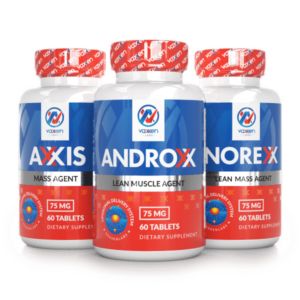 Their distinct structure allows them to be digested and absorbed through the portal system, resulting in rapid fat metabolism and energy production. Clinical research suggests that MCTs can help support cognitive function, enhance mitochondrial function, and boost ketone levels. Normally MCTs don’t have much flavor, but Keto Assist+ features these healthy fats (plus grass-fed butter and coconut) in a delicious powder that you can easily add to virtually any beverage you wish! Taurine is a derivative of the amino acid L-cysteine and has been shown to have cardioprotective and antioxidant properties in humans. Research also suggests that taurine bolsters mental acuity and athletic performance, especially when taken with other energizing ingredients, like BHB salts. L-Leucine is a key branched-chain amino acid (BCAA) and the putative “master switch” for activating muscle protein synthesis (MPS). In other words, consuming L-leucine initiates the pathway that helps your body construct muscle tissue from amino acids. This is one reason why supplementing with L-leucine/BCAAs is ideal before, during, and/or after you hit the gym (especially if you’re on a low-calorie diet). L-tyrosine is an essential amino acid and precursor for both norepinephrine and dopamine – two neurotransmitters that regulate reward-driven behavior and motivation. 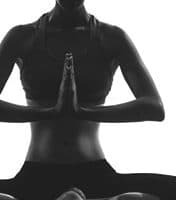 Recent research suggests that L-tyrosine may enhance “cognitive flexibility,” thereby helping you adapt to changing mental demands, particularly by increasing focus and attentiveness. Glucuronolactone is a natural substance found in virtually all connective tissues. Research suggests that glucuronolactone inhibits the actions of an enzyme called beta-glucuronidase, which is responsible for metabolizing glucuronides. Excessive activity of beta-glucuronidase causes glucuronide levels in the blood to drop, which in turn impedes the body’s ability to remove toxins and noxious metabolites (since glucuronic acid combines with toxic substances and helps filter them out through the urine). Therefore, inhibiting the activity of beta-glucuronidase helps free up glucuronides in the blood and encourages the removal of toxins. Since the liver uses glucose to synthesize glucuronolactone, it behooves keto dieters to supplement with glucuronolactone. Commercial exogenous ketone supplements are virtually always in the form of ketone (BHB) salts. However, several studies actually use ketone esters, which are synthetically made compounds that combines an alcohol (such as ethanol) to a ketone body. Ketone esters are costly to produce and reportedly very unpleasant tasting; they are also known to cause excessive gut distress. Moreover, ketone esters don’t appear to be much more effective than ketone salts at elevating blood BHB levels. As such, it’s doubtful ketone esters will replace ketone salts as far as dietary supplementation goes. Contrary to ketone esters, ketone salts are naturally derived compounds that combine a mineral, such as magnesium or calcium, with BHB to enhance intestinal absorption. Keto1 contains pure goBHB™ salts in the form of sodium BHB, calcium BHB, magnesium BHB. Since BHB salts contain essential minerals, they provide additional benefits such as enhancing hydration and promoting optimal muscle function. Research suggests that 11-12 grams of pure BHB salts is an effective dose that will induce ketosis rather quickly. This is why each serving of Keto-1 packs 11.7 grams of goBHB™- the highest-quality BHB salts on the market. If you’re currently on the keto diet or considering the switch to carb-less life, taking exogenous ketones daily is a great option for keeping you in ketosis while promoting mental acuity and keeping appetite under control. This can be especially useful when first starting the keto diet, as many people experience the “keto flu” during the initial 1-2 weeks of cutting out carbs. For people who consume a higher-carb diet, exogenous ketones are ideal prior to exercising and/or whenever you want enhanced mental performance. You may also simply use exogenous ketones for their longevity and health benefits by consuming them with or without food once daily. Mitchell, G. A., Kassovska-Bratinova, S., Boukaftane, Y., Robert, M. F., Wang, S. P., Ashmarina, L., … & Potier, E. (1995). Medical aspects of ketone body metabolism. Clinical and investigative medicine. Médecine clinique et expérimentale, 18(3), 193-216. Clarke, K., Evans, R., & Cox, P. (2016). Metabolism of exogenous ketones (Doctoral dissertation, University of Oxford). Stubbs, B. J., Cox, P. J., Evans, R. D., Santer, P., Miller, J. J., Faull, O. K., … & Clarke, K. (2017). On the metabolism of exogenous ketones in humans. Frontiers in physiology, 8, 848. Little, T. J., Horowitz, M., & Feinle‐Bisset, C. (2005). Role of cholecystokinin in appetite control and body weight regulation. Obesity reviews, 6(4), 297-306. Vargas, S., Romance, R., Petro, J. L., Bonilla, D. A., Galancho, I., Espinar, S., … & Benítez-Porres, J. (2018). Efficacy of ketogenic diet on body composition during resistance training in trained men: a randomized controlled trial. Journal of the International Society of Sports Nutrition, 15(1), 31. Tomlinson, D. R., & Gardiner, N. J. (2008). Glucose neurotoxicity. Nature Reviews Neuroscience, 9(1), 36. Vandoorne, T., De Smet, S., Ramaekers, M., Van Thienen, R., De Bock, K., Clarke, K., & Hespel, P. (2017). Intake of a ketone ester drink during recovery from exercise promotes mTORC1 signaling but not glycogen resynthesis in human muscle. Frontiers in physiology, 8, 310. Baron, A. D., Brechtel, G., & Edelman, S. V. (1989). Effects of free fatty acids and ketone bodies on in vivo non-insulin-mediated glucose utilization and production in humans. Metabolism-Clinical and Experimental, 38(11), 1056-1061. Rojas-Morales, P., Tapia, E., & Pedraza-Chaverri, J. (2016). β-Hydroxybutyrate: A signaling metabolite in starvation response?. Cellular signalling, 28(8), 917-923. McCue, M. D. (2010). Starvation physiology: reviewing the different strategies animals use to survive a common challenge. Comparative Biochemistry and Physiology Part A: Molecular & Integrative Physiology, 156(1), 1-18. Crozier, G., Bois-Joyeux, B., Chanez, M., Girard, J., & Peret, J. (1987). Metabolic effects induced by long-term feeding of medium-chain triglycerides in the rat. Metabolism, 36(8), 807-814. Wójcik, O. P., Koenig, K. L., Zeleniuch-Jacquotte, A., Costa, M., & Chen, Y. (2010). The potential protective effects of taurine on coronary heart disease. Atherosclerosis, 208(1), 19-25. Stipanuk, M. H. (2007). Leucine and protein synthesis: mTOR and beyond. Nutrition reviews, 65(3), 122-129. Hase, jung, het rot. 2015. Behavioral and cognitive effects of tyrosine intake in healthy human adults. Pharmacology biochemistry and behavior, 133, 1-6. Lampe, J. W., Li, S. S., Potter, J. D., & King, I. B. (2002). Serum β-glucuronidase activity is inversely associated with plant-food intakes in humans. The Journal of nutrition, 132(6), 1341-1344. Rowland, A., Miners, J. O., & Mackenzie, P. I. (2013). The UDP-glucuronosyltransferases: their role in drug metabolism and detoxification. The international journal of biochemistry & cell biology, 45(6), 1121-1132. Newer What is Nettle Root Extract? Older Where to Buy Huperzia Serrata?